Call it a huge success. 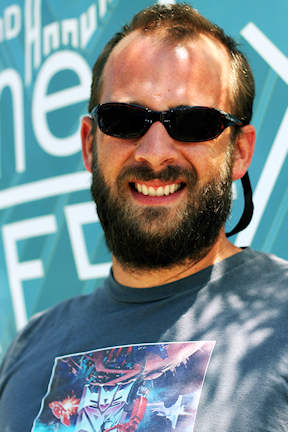 That’s the word from Sneaky Beans Coffee Shop owner Byron Knight whose Sneaky Fest on Saturday featured 14 bands, a facial hair fashion show, food, kids zone and more. An estimated crowd of more than 1,200 people enjoyed the 12-hour event and Knight says it went off without a hitch. Knight praises the volunteer effort for pulling off the 2nd incarnation of the fest which last happened in 2009. Musically speaking, a diverse mix of bands took careful planning and some rejection letters. She went on to say that she thought Knight has done a good job with his business in general because it is his passion. “Byron likes to see people happy and having fun and he offers a venue for that to happen”.